The new 2016 Rebel is the ultimate kite for huge jumps and massive hangtime! There have been quite a few changes across the range this year to ensure it still delivers the maximum performance across all the sizes. The smaller sizes in the range now feature a lower aspect ratio, which makes them smoother in gusty winds whilst also improving the turning speed of the kite. This makes the smaller Rebels even livelier than before without loosing stability and still allows you to boost huge airs. The middle sizes in the range offer the perfect blend between turning speed, handling and jumping ability. 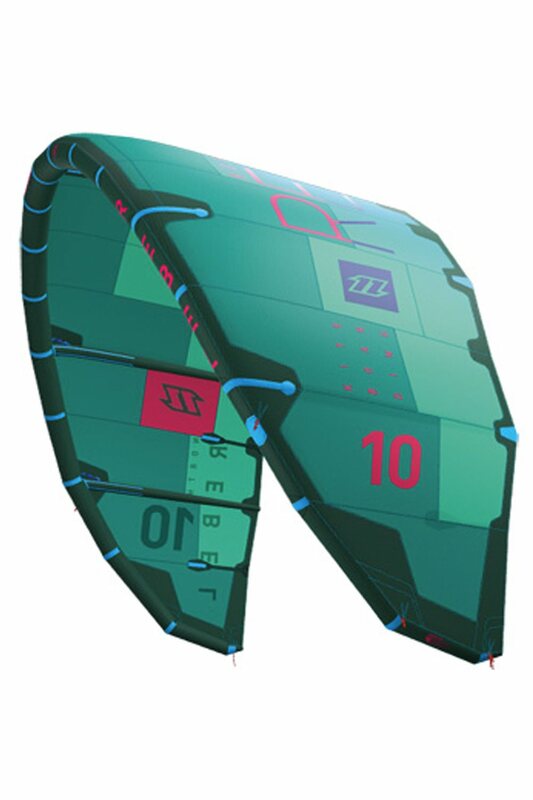 The profile and aspect ratio of these kites has been tweaked to offer amazing performance. The 12m to 14m kites now have a higher aspect ratio, which offers higher jumps, longer hangtime and better power delivery with a smooth bar feel. The big 16m Rebel shares a similar shape and profile with the 14m, but the bigger 16 has more of an emphasis on low end power and jumping ability replacing the Rebel 18. The Rebel has always been the class-leading kite; now each size has been designed to offer the ultimate in freeride and jumping performance regardless of the wind conditions. 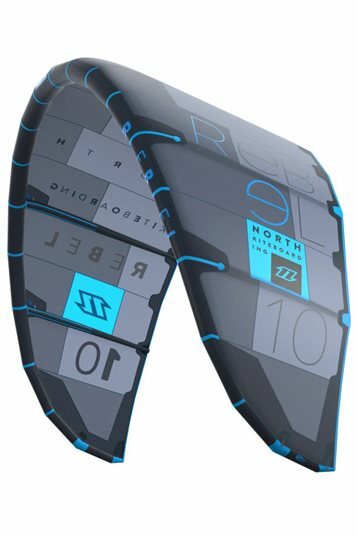 - See more at: http://www.northkiteboarding.com/products/kites/rebel/#sthash.qM9UrSh0.dpufThe new 2016 Rebel is the ultimate kite for huge jumps and massive hangtime! There have been quite a few changes across the range this year to ensure it still delivers the maximum performance across all the sizes. The smaller sizes in the range now feature a lower aspect ratio, which makes them smoother in gusty winds whilst also improving the turning speed of the kite. This makes the smaller Rebels even livelier than before without loosing stability and still allows you to boost huge airs. The evolution of the North Rebel is finished. This kite found its users & kite feel. The new 2016 Rebel is mostly the same as the 2015 Rebel We detect a few small construction tweaks, but no big changes. The North Rebel has its own followers, riders who love that special kite feel of gradual lift, big floating jumps and great power & depower control in high winds. Well, nothing has changed. Last year we tested the 9m and now the Rebel 11m. A different size with the same accent on that typical Rebel feel. North Rebel 9 or 11m? What would be the best size for me? It depends on your weight, home spot and your most important kite characteristics. Lighter riders go for the 9m, if you have a minus 20 knots homespot, go for the 11m. The right combination of kite characteristics is pretty personal. 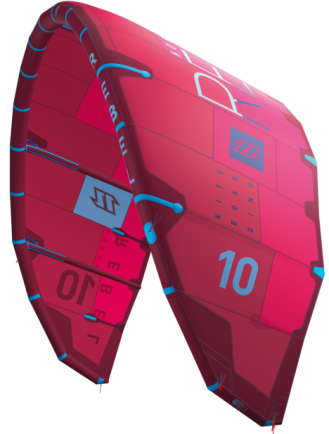 We advice you to choose your 3 most important kite characteristics and try the Kite Finder. For hydrofoiling the Rebel can be used in light winds, but the Rebel 11m is at its best in the higher windrange. 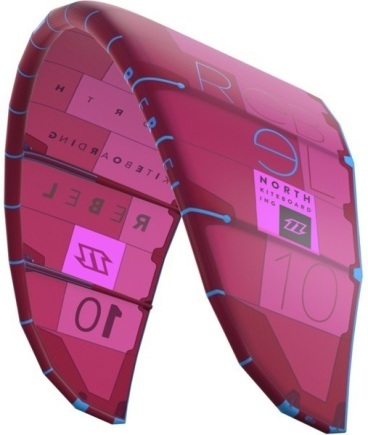 The North Neo or North Evo would be our choice for foiling. Tried the 14m with low wind conditions and a Hydrofoil. In the North range you have 3 kites that seams suitable for a Hydrofoil. Evo, Neo and the Rebel. I can be short about the Rebel. Try a Evo or Neo for light wind foiling. Use the Rebel in its high-end wind range. This is a great big air kite. The Rebel performs best in powered up conditions. Flown the 7m Rebel on a hydrofoil in inland gusty winds. Wanted to feel how the small rebel behaves. Riding a hydrofoil in hard & gusty inland winds you want a kite that gives you control in a wide wind range. Compared to the North Neo or Evo, the Rebel is a high ratio wing. Gives it a wider turning circle and not so smooth. Another thing that surprised me was its float, it drift back easily and gives you a great steering control in gusts or in your downwind tacks. Small Hydrofoil kite, Neo or Rebel? Rebel, if you think about small jumps, you need that wing for the soft landings. Tried the new North Rebel 11m in +20 knots of wind. Had an amazing ride! Easy to handle in overpowered conditions. I could control my speedy jumps, but also had some great sheet & go straight up transitions. The lift is pretty gradual with a 'floaty' hang time. I discovered that the real performance the 11m Rebel 2016 lies in its high end. So if you like to go for the big airs in +5bft for me (91kg) the 11m would be the best size.